Officials said PM Modi will personally explain 16th-century Sidi Jaali mosque's rich heritage and architecture including its famous and intricate lattice or jaali work to the visiting leader. PM Narendra Modi has met Shinzo Abe ten times in the last three years. At 3.30 pm tomorrow, Ahmedabad will lavishly host not one but two VVIPs. Prime Minister Narendra Modi will greet his counterpart from Japan, Shinzo Abe, who will spend his entire two-day visit to India in the PM's home state. Mr Modi is scheduled to arrive an hour before the Japanese leader and will accompany him in a road show from the airport to Mahatma Gandhi's famous Sabarmati Ashram. Along the 9-kilometre route, children from local schools will sing and dance on 28 stages to highlight India's myriad cultures. In the evening, the PM will accompany Mr Abe -who he has met ten times in the last three years - to Ahmedabad's famous Sidi Jaali mosque, built in yellow landstone. Officials said Mr Modi will personally explain the 16th-century mosque's rich heritage and architecture including its famous and intricate lattice or jaali work to the visiting leader. 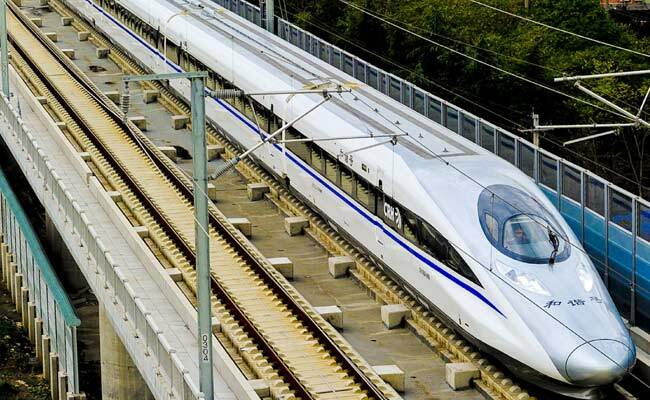 The 508-km Mumbai-Ahmedabad High Speed Rail Project will entail an estimated cost of Rs. 1,10,000 crore. On Thursday, the leaders will inaugurate the 508-km bullet train project between Mumbai and Ahmedabad. With a top speed of 250 kms, the train will shave the journey between the two big trading centres from seven hours to about two hours. The premiers will lay the foundation stone about 2 kms from the Sabarmati Ashram, where a major terminal will be located. The project, which is India's first bullet train, is estimated to cost Rs 1,10,000 crores and is scheduled to be completed by 2023. "Out of this Rs 1,10,000 crore, Japan is giving a loan of Rs 88,000 crore and the interest on this loan is minimal, i.e. 0.1 per cent," Railway Minister Piyush Goyal said adding that India has to repay the loan in 50 years. The premiers will devote the second half of Thursday to talks on bilateral trade and cooperation in defense and energy.